Officials are looking for 32-year-old Justin Gaston in connection with a firearm homicide in Randolph, Mass. 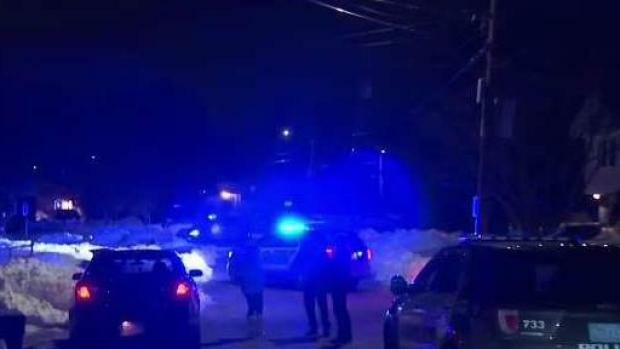 Authorities are searching for a suspect in connection with a firearm homicide in Randolph, Massachusetts, according to the Norfolk County District Attorney's office. Police responded Monday night to a home on Petipas Lane. Officials are looking for Justin Gaston, of Randolph and Brockton. The public is warned not to approach the 32-year-old suspect as he is considered armed and dangerous. Gaston is known to sometimes reside at 27 Petipas Lane, the location of the apparent homicide, and at other locations in neighboring communities. The suspect is described as a black male with brown eyes and black hair. Gaston is around 6'3" tall and weighs approximately 210 pounds. Officials say he may be traveling in a dark colored SUV. The victim has been identified as an adult male who was known to the suspect. Authorities are withholding further identifying information pending family notification. Police say the incident was not random. One neighbor tells NBC10 Boston that she heard three loud bangs come from the Randolph home Monday night. Neighbors are on edge as the area is blocked off while this incident is actively investigated. Anyone who has information on Gaston's whereabouts is urged to call Randolph police at 781-963-1212 or 911 in case of emergency.